Welcome to Ms. Strange's Class! My name is Sarah Strange, and this is my third year at Garden Ridge Elementary. I taught for two years in second grade prior to this year. 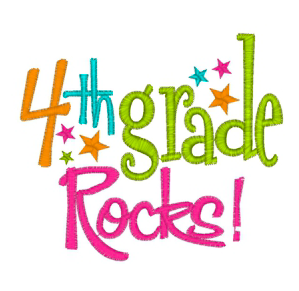 Before coming to GRE, I taught 4th grade for 3 years at another LISD campus, and I absolutely loved every second of it! I was raised in Grand Prairie, where I attended South Grand Prairie High School. I then moved to Norman, Oklahoma and started college at The University of Oklahoma. My junior year, I decided to move closer to home to complete my degree at Texas Women's University, and I graduated with my Bachelor's degree in 2013. I have lived in Lewisville for 8 years now. I have 4 children- Parker (5 years old), and my triplets, Benjamin, Mason, and Ryan (2 years old), I also have a sweet 7 year-old terrier mix, named Abbi. Thank you so much for sharing your child with me. I can't wait to share in the experience of watching them grow and learn. I'm so excited for a great year packed with adventure and fun!